A guardian is not appointed for a minor unless his parents cannot care for him. A guardian might be appointed for a child if his parents die or are imprisoned, if they abandon or neglect him, if they are unable to financially support him or if they are seriously ill. The proposed guardian must file a guardianship petition in the county court where the proposed ward lives. He must establish that there are compelling reasons for establishing a guardianship and that a guardianship would be in the best interests of the ward. Two types of guardianships are possible: temporary and permanent. Temporary guardianships last up to 60 days and may be extended. Permanent guardianships last until the ward reaches his 18th birthday. To become guardian of an adult, the proposed guardian must file a guardianship petition in the county court with jurisdiction over the proposed ward's residence. The proposed guardian must prove that the adult is incapacitated. An adult is legally incapacitated if he suffers from a physical or mental disability that prevents him from meeting his own personal needs or from competently managing his finances. Typical conditions justifying guardianship include substance abuse, developmental disability and mental illness. The proposed guardian must establish incapacity with medical evidence. Guardianship over an adult can be avoided if the adult executes a power of attorney in favor of an agent before he becomes incapacitated. If an adult becomes mentally incapacitated or unable to communicate, he cannot execute a power of attorney because he cannot give informed consent. A guardian of the person is responsible for providing food, shelter and clothing, making medical decisions, determining where the ward will live, managing his social life and providing for other daily life needs. A guardian of the estate manages the ward's finances. Depending on the circumstances, a court may name one person both guardian of the person and guardian of the estate, or name one person guardian of the person and another person guardian of the estate. If the ward has no property, there is no need to name a guardian of the estate. 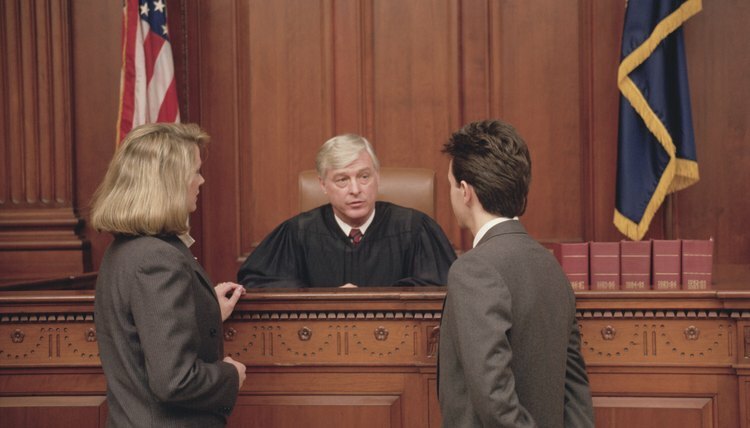 A guardianship is terminated whenever a court decides it is in the best interests of the ward. Guardianship of a minor is terminated when he reaches 18 years of age unless he is incapacitated. A minor's biological parents can petition the court for termination of a guardianship over a minor, and the court will approve the petition if the biological patents can show that they are fit to perform their duties. Guardianship of an incapacitated adult is terminated when the adult regains capacity. A court may replace an incompetent or neglectful guardian. A guardian must petition the court to resign his duties, but the court is not obligated to accept his petition. A legal guardian undertakes responsibility for the welfare of someone, known as a ward, who is unable to undertake these responsibilities on his own behalf. A ward may be either a minor whose parents cannot or will not care for him, or an adult suffering from an incapacity that prevents him from meeting his own needs. A guardian can be appointed only by court order. Missouri's guardianship laws are found in Chapter 475 of the Missouri Revised Statutes. Parents, relatives or social services agencies face the emotionally challenging decision of guardianship of a minor child in a number of circumstances. Appointing the guardian for a minor child determines who takes care of the child until she turns 18. New York courts must approve guardians and are primarily concerned with what is in the best interests of the child.